Most of my scholarly publications are in disability studies, discourse analysis, the sociology of health and illness, rhetoric, and qualitative methodology. Google Scholar has an updated bibliography. 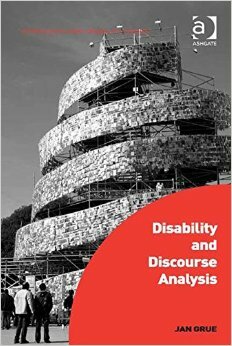 “Disability studies has engaged with discourse analysis in key works both from the UK and the USA. While the perspectives and analyses of discourse analysis have proved well suited for exploring disability, however, its methods have not been sufficiently developed in a disability studies context.